We recently had a lovely surprise in the form of a beautifully written letter and poem from Emma Goulding. I wrote this poem about Veronica’s Snacks because everyone in my class in school entered into a short story /poem competition. We had to write about a local food producer. 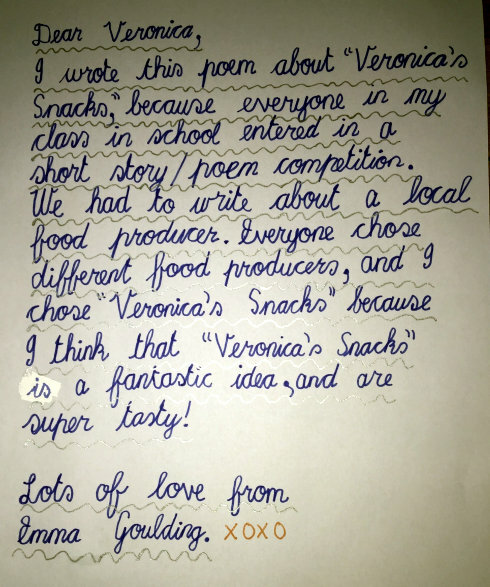 Everyone chose different food producers and I chose Veronica’s Snacks because I think Veronica’s Snacks is a fantastic idea and super tasty! 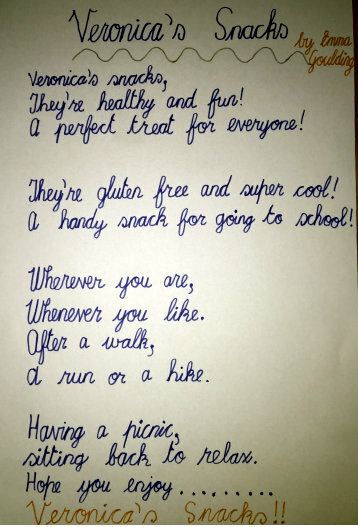 The Veronica’s Snacks team LOVE the poem and wanted to share it with the world. It’s well written and says it all really! A perfect treat for everyone! A handy snack for going to school! A run or a hike. 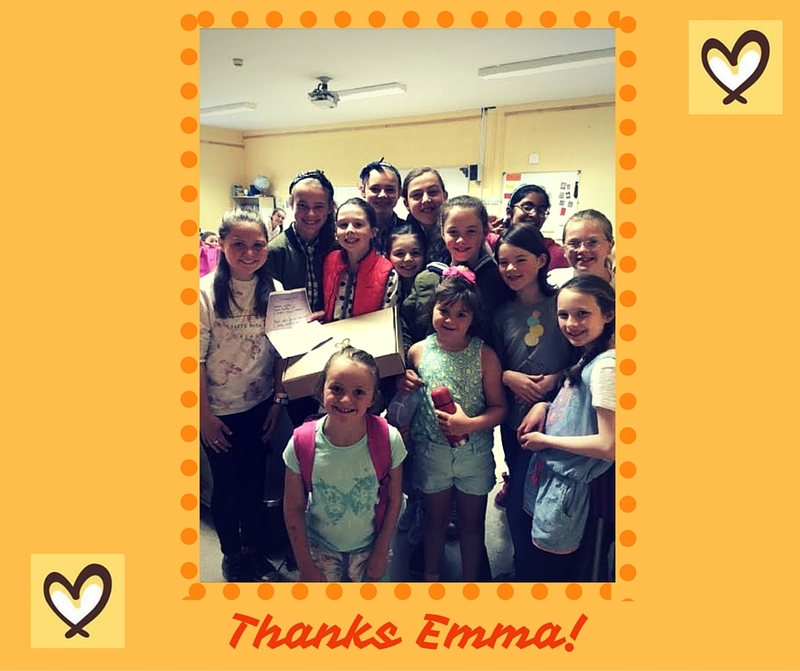 Myself and my two girls called into the 5th class girls today and presented Emma Goulding with her own box of munchy happiness. They are starting their school holidays so let’s hope they all have a great time because these years are the building blocks of great people to come. My two rascals were only delighted to join in!! !